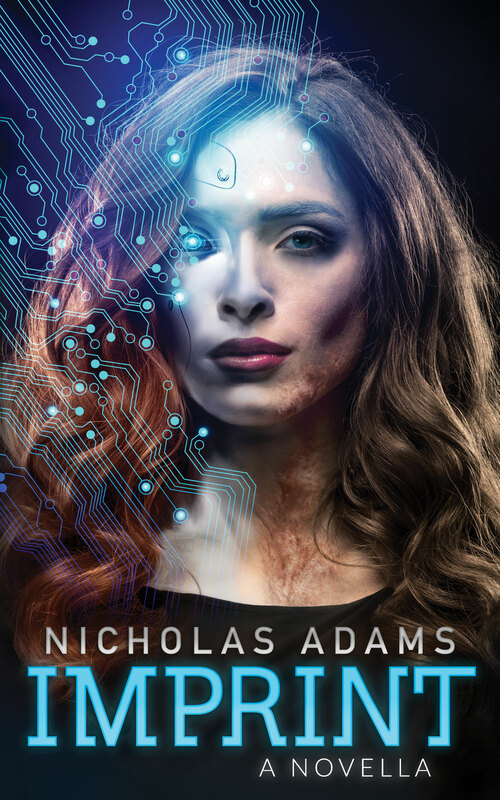 Nicholas Adams (nom de plume). Emotionally: I want a cookie! I’m the 3rd of Seven siblings (makes me sound like a Borg). After high school I studied Pre-Med, but after getting my Bachelor’s degree in 1998 I realized I didn’t deal well with sick people. So, I went back to school earned a second Bachelor’s in Architecture in 2003, and then my M.Arch from the University of Utah in 2005. From there, my wife and I moved to Phoenix, AZ where I worked. During the seven years we lived there, we became Foster Parents and adopted 4 kids out of the system before moving back up to Utah in 2012 where the job market was better. 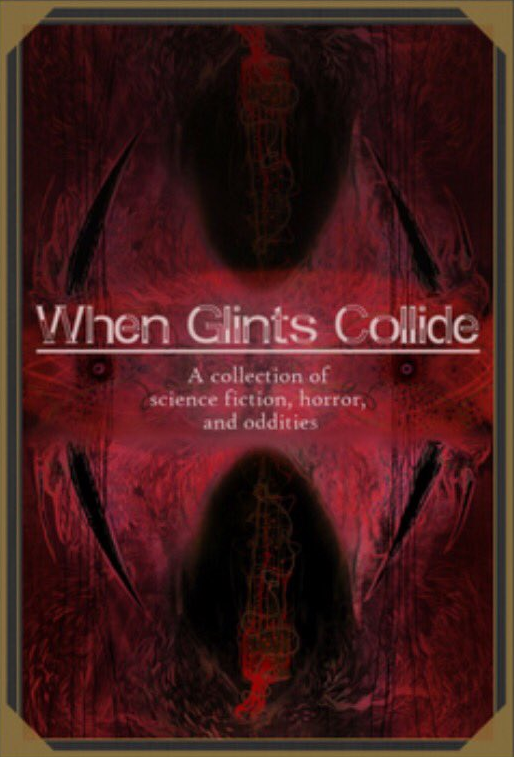 I have a short story being published in an Anthology called When Glints Collide by Fluky Fiction in October 2017. It’s called Half-Z’s. This is my first publication that I didn’t do myself through Amazon. I’ve also recently done my 2nd interview with Pat Rullo of Speak Up Talk Radio. You can listen to the podcast here. I’ve always had a rich fantasy life (kind of helps when you live in Boring and there’s not much to do). But I didn’t start writing down my ideas until I was in my 20’s for fear of ridicule. I was too sensitive to take criticism in a constructive way. I wrote a few poems and very short stories (less than 1000 words) and showed them to my parents. In their desire to support me, they hired a local printer to format, print and bind 250 copies of a little booklet. I still haven’t made those public. Nowadays, the why I write is because it makes me happy. It’s a creative outlet that I physically need. I get cranky when I go more than a week without working on a story. How’s next Thursday sound? I still think of myself as a writer-in-utero. I’m still learning, and there’s so much I still don’t know, about the craft of storytelling. I suppose I thought of myself as a writer when I made sure to work on a story every day. Whether I’m typing, scribbling notes, or just imagining how a scene needs to feel, I’m writing. My real venture in writing started in 2013. I had a favorite fantasy world that I liked to visit and wished someone one would write a story like it. Then I read a quote mistakenly attributed to Joss Wedon (I’m a big Firefly fan) that said “I write the stories I want to read.” I decided then and there to write down my daydream world. 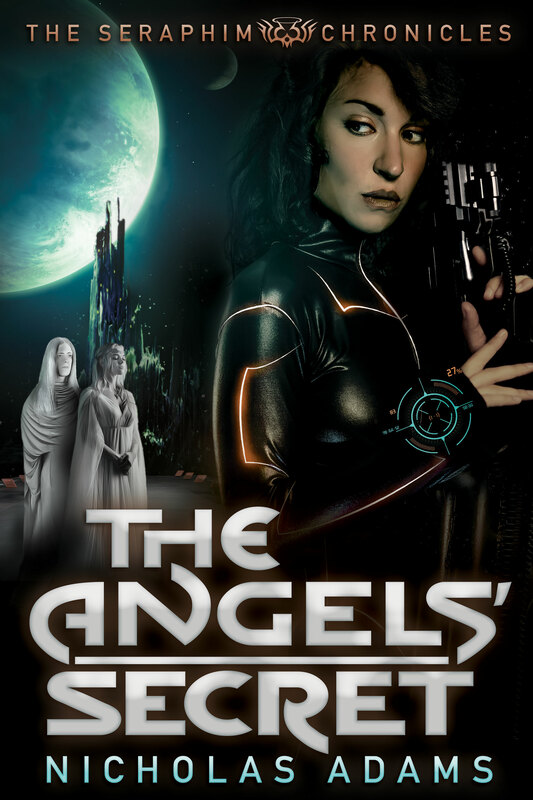 Thus began the novel known as The Angels’ Secret. In the novel, there is a race of humanoids who arrive on Earth. Mankind has dubbed them Angel’s because of their exquisite beauty and porcelain skin. But when my MC learns the secret of their true history she has to decide what to do with this knowledge. I don’t know if I have a specific style yet. I once put a sample of The Angels’ Secret in an online style analyzer, and it told me I write like Stephen King (I take that with a grain of salt). All my stories are in 3rd person, except for my latest Sci-Fi WIP. This’ll be my first attempt a 1st person. I’m also in the middle of my first fantasy novel. I find the world-building to be both challenging and exciting because I have to develop an entire culture from nothing and make it all work together. Every one of my characters carries some of my own personality traits (the good and the bad). My antagonists are usually expressions of my negative traits taken up a few notches. Their internal conflicts are all based on personal issues or events that have happened to me, or at least an extension of my own demons. I’m a pretty secretive person, so in a way I’m opening up my closet of skeletons to the whole world through my stories. I do not enjoy traveling. Not even for family vacations. So, my process is to make up as much detail for a world that doesn’t exist from the comfort of my corner desk and use google for research. As long as I have a decent internet connection, I could write from a windowless room ten stories underground. Powerful people do heinous things in the name of bettering society. One of my favorite new authors is Michael Darling, author of Got Luck and Got Hope. He’s got a cheeky sense of humor and fabulous imagination. I couldn’t help but love his characters and the magnificent world he built for them. I don’t think I have an all-time favorite writer. I like to read the greats and the unknowns. But I think David Farland is one I aspire to emulate. He’s had a wonderful career as a brilliant storyteller, but he’s also generous in helping teach new authors and discovering new stars. Fluky Fiction. They liked a novella I self-published and invited me to submit something for their upcoming anthology. Yes, but I’m not making a living at it yet. So, the day job still pays the bills. YES! I would have hired a professional editor much sooner in the process. Invaluable investment. World building is an exciting challenge. Much like designing a house, you have to know where all the pieces fit together so the whole makes sense. Otherwise, it just looks like a slap-shod amalgam of parts from too many kits. No. I may want to streak across the spotlight, but I don’t want to stand in it. Besides, I don’t have the body parts. The same advice I’ve found. Write as much as your schedule allows. Set aside time each day to write, but you’ll only get better. Join a critique group and listen to their feedback. Read broadly. You gain insight into your genre by reading outside of it. Don’t try to do it all yourself. There are people with skills you don’t have, and their worth the investment. Editors are trying to help you improve your stories, not tear you down as a person. A woodchuck would chuck all the wood he could, if a woodchuck could chuck wood. No. The first book I remember reading that made an impact on me was some fantasy novella I found in my elementary school library. I don’t even remember the name. Cry: The list is too long. I’m just a big squishy at heart. My paternal grandfather. From what I’ve heard about it, I think we would have understood one another. Aside from designing custom homes and writing Sci-Fi and fantasy stories, I enjoy movies, motorcycles, volleyball and singing. I enjoy nerdy, geeky, Sci-Fi, suspense, thriller, mystery and comedies. Star Wars, Star Trek, X-Files, Firefly, Seinfeld, Friends, Quantico, BSG, Stranger Things, Last Man Standing, Marvel & DC comics movies, so many, not enough time to list. Slowly decay as I’m fed intravenously through a port in the sleeve of my straight jacket. But after counseling and healthy doses of animal tranquilizers, I’d probably continue designing custom homes. Here lies Nicholas Adams. We don’t know what his real name was, but it’s better than John Doe.